Go For It Sports was built on the foundation to give athletic experiences to all levels of performance and capabilities, for any age. GFIS reaches many communities and doesn’t limit itself to exclusive members. We open our doors and foster every child and adult to reach these heightened levels of any sport…baseball, softball, lacrosse, wrestling, rugby, soccer, football, basketball, indoor golf, fitness and so many more. Our wide open dome, including an indoor track, allows to repurpose the space to fit any need for any sport be it practice, game, driving range, fitness competition or dog show. Justine (Sleezer) Brummel, owner of GFIS, is a Yorkville native and is known for her talents on the track. Her vision was to bring community athletics to a heightened level and build a home for a multiple sport use for all to enjoy! “My initial vision was to give opportunity to kids that may not have a higher skill set in traditional athletics. To give them a place to come and still be part of a team is pretty important to me. Having a child with special needs that loves participating in sports of all kinds leaves little places for him to actually participate fully. My initial vision has come full circle and some, it makes me happy to see such collaboration of ability levels”. Go For It Sports goes well beyond the use of athletics and producing state -qualified Special Olympic athletes. GFIS is also the home for many large events including fundraisers for Cole’s Camp, PTOs, and school field trips, along with birthday parties, end of season team parties, Touch-a-Truck, Dog shows, and so much more. If you can imagine it, Go For It Sports can make it happen! Check out our 40,000 square feet of available turf, our indoor track, our party room, our outdoor field to see how it can fit your needs in all shapes and forms! Give us a call to schedule a tour of the facility and book your rental today at 630-242-8440. Team-based or individual, sports offer incredible health benefits for both a person’s mental and physical well-being. Not only do sports keep us fit and healthy, but they also build social skills, increase self-esteem and improve energy levels. No one recognizes the value of sports more than the Go For It Sports team in Yorkville, IL. The inspiration behind Go For It Sports stems from a burning passion to promote athleticism among a wide range of ages and performance capabilities. The initial ideas for our sports complex originated with preliminary concept sketches back in November of 2013. Early on, it was determined that Go For It Sports would be designed to accommodate numerous sports and different athletic availabilities. From baseball and softball, to volleyball, basketball, soccer and more, our 58,000-square-foot facility has the capacity to support a broad spectrum of sports. We even offer indoor turf, court and track rentals for training and practices! With Go For It Sports’ versatile athletic facility, there is a sport for everyone to love. Our team of compassionate professionals care deeply for your young athlete’s success and well-being. It’s our goal to inspire, educate and foster their passion for athletics. Visit our facility to learn more today! Go For It Sports is committed to educating young athletes on the importance of good sportsmanship. It’s our responsibility to teach children that sports are not about winning or losing, but rather, how you play the game. Through athletics, children learn invaluable social skills, how to cope with competition and how to be a leader, important traits that will carry over into their adult lives. It’s our ultimate privilege to mentor children on athletic values, opening young hearts and minds to the amazing world of sports. Our mission is to help athletes reach their highest potential both in sports and in life. Our multi-sports facility opens the door to new opportunities for a range of ages and skill levels. Through camps, programs and tournaments, our compassionate team will help your son or daughter gain a newfound confidence in themselves and their athletic capabilities. At Go For It Sports, we understand the importance of teamwork, good sportsmanship and perseverance, making it our personal mission to convey these ethics to your star player. 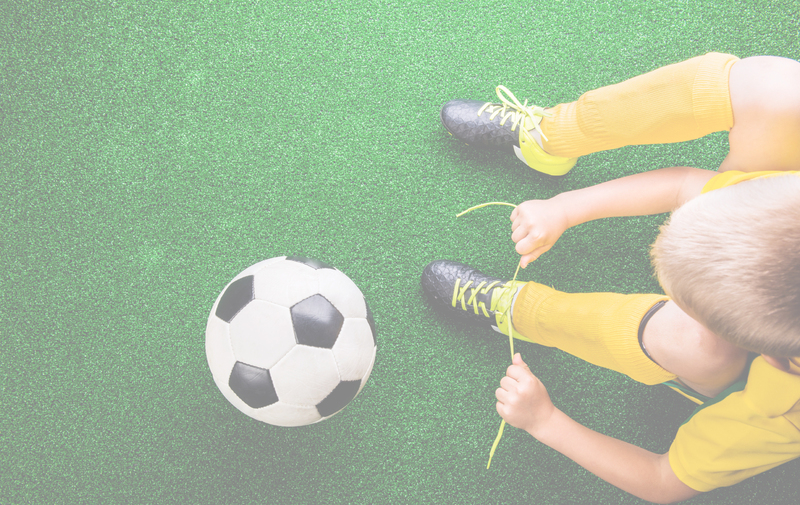 Our hard-working team will do everything in their power to help enhance your child’s athletic performance and most importantly, their love of sports.